VCO Systems launched a suite of innovative, cloud-enabled light systems for the ecommerce and retail verticals aimed at increasing productivity, and managing seasonal capacity surges that have become a significant challenge for most online retailers. 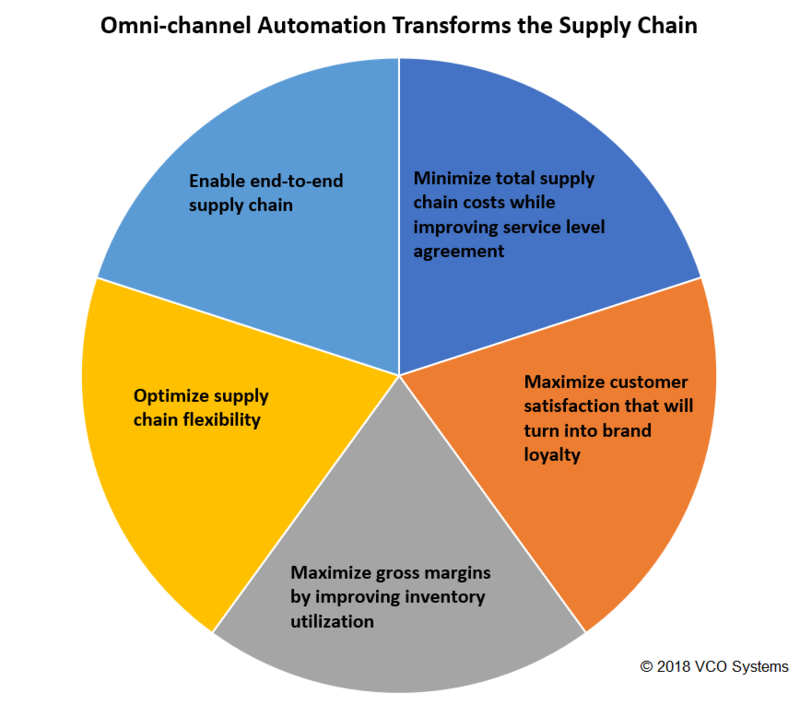 Too many in the picking product space fail to understand the complexities of the fast-changing omni-channel experience and associated total supply chain costs. With deep roots in supply chain consulting and product development, it was that body of work experience that led to the creation of a suite of highly-mobile putwall, put-to-light, and pick-to-light systems. Taking a page from shared economy pioneers like Uber and Airbnb, their solutions leverage technology to allow clients to utilize existing infrastructure, such as mobile carts, creating on-the-fly capacity enhancements that can be scaled up or down as demand dictates. Unlike most picking solutions companies selling the same light bars for twenty years, VCO Systems operates as a third-party consultancy to optimize the supply chain. The sophistication needed to evaluate and select the best technology solutions that meet supply chain requirements can be a daunting process. The supply chain software marketplace is expansive and complex, with many solutions looking nearly identical. According to the Aberdeen Group, companies with an omni-channel customer engagement strategy retain on average 89 percent of their customers, compared with just 33 percent for companies with weak omni-channel engagement. The retail environment is constantly changing, and seamless integration across channels is no longer a luxury, but a necessity due to increasing customer expectations, demand, and competition. No longer are individual channels segregated such as brick-and-mortar, online, and wholesale. Organizations must be optimized to provide the right product to end customers, across the various channels that share inventory. In an era where supply chain systems need to evolve in response to complex and ever-changing end customer needs, the immediate jump to a product solution is a mistake. Experience and focus allows clients' supply chain to become digital-ready. Decades of supply chain implementation translates to a strategic partnership in designing, implementing, and maintaining complex end-to-end supply chain enterprise solutions from transportation, labor, warehousing, and supply chain visibility. There was no need to duplicate traditional putwall, put-to-light, or pick-to-light solutions already in the market. All the supply chain consulting work informed the need for a suite of products that bridged a gap; the result was automation innovation and the design of smart applications that address unmet needs. The suite of light solutions hit directly at problems many of the clients are facing around productivity, as well as managing seasonal and unexpected demand. Enabled by wireless technology with cloud-enabled capability, mobility is a game-changer helping customers scale efficiently and effectively, without a need for permanent infrastructure. The highly flexible system is battery and WiFi-enabled, allowing for an array of mobile installations. Supporting multiple users simultaneously, the one-stop hardware and software solution, features a Bluetooth ring scanner that can be wrist-mounted for hands-free operation. These features were among the reasons a leading U.S. apparel brand partnered with VCO Systems to help manage seasonal demand through the most recent holiday sales period, supporting over 50,000 units processed per day. MODEX 2018: VCO Systems will exhibit at MODEX 2018 April 9-12, 2018 in Atlanta, GA at Booth B4474. Vikrant Angia is the founder and CEO of VCO Systems (www.VCOSystems.com). He loves the challenges of streamlining processes, increasing efficiencies and handling rapid changes in demand profiles across multiple channels using Light Directed Technologies. His passion is to design and build products applying latest technologies to fuel easier adoption and access in the Supply Chain Space. ....... See More Details.